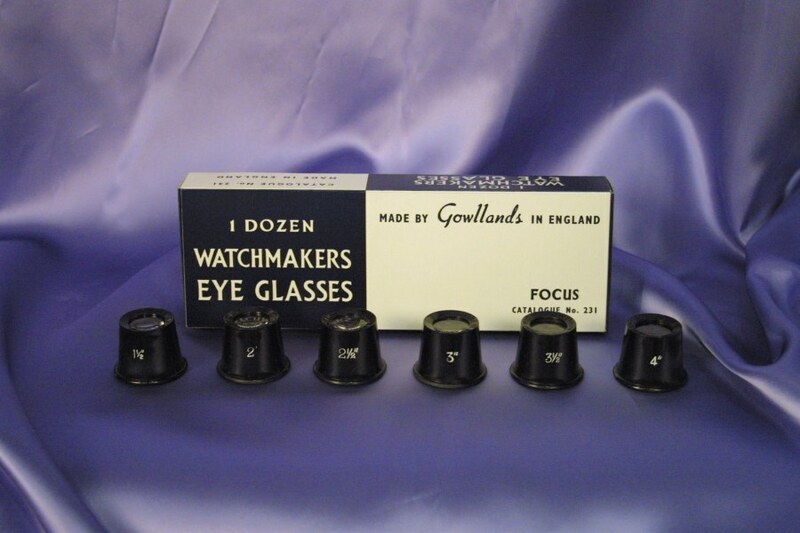 Gowlland Optical Limited make magnifiers and inspection mirrors, all made in England, very keenly priced and of top quality. They make various chrome-plated and plastic pocket magnifiers (various magnifications) and watchmakers eye glasses, as well as various lengths, sizes and types of inspection mirrors (for looking under vehicles and so on). They are available on Amazon, at Claritas Online and elsewhere. Gowlland Inpection Mirrors. Made in England. 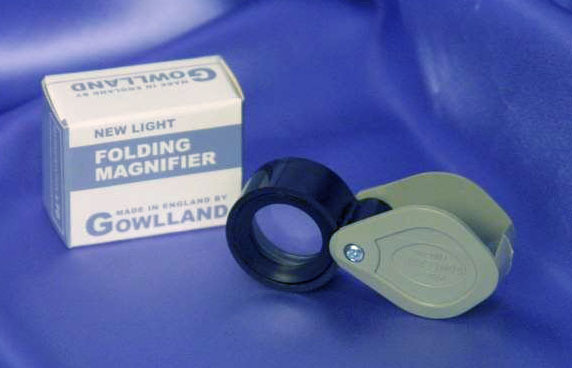 Gowlland New Light Magnifier #215. Made in England. 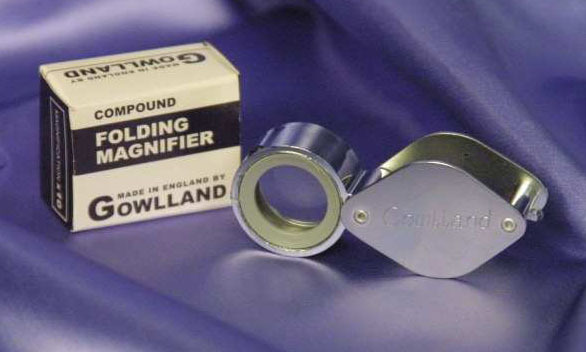 Gowlland Compound Magnifier #1067A. Made in England. Gowland Watchmaker’s Eyeglass #231. Made in England. 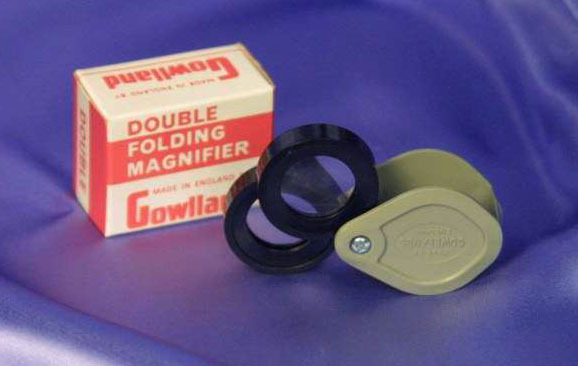 Gowlland Twin Magnifier #216. Made in England. Pyser-SGI Measuring Magnifier MAG 6. Made in Britain. Coil make some of their magnifying glasses and magnifiers in Slough in England, but it does not say which on their website. For example, the Coil 6262 Sliding Pocket Magnifiers are made in China. You will have to ask them if you are interested in a particular product or look at the packaging if you can find a retailer I guess. There is a list of Coil distributers on their website. The Vision Enhancers website has a rather useful “what will I see with this product” feature. Other than the above it seems most other magnifiers, etc are now made abroad. Does anyone know of any more magnifiers or magnifying glasses that are still made in Great Britain please? This entry was posted in GOWLLAND OPTICAL LIMITED, Inspection Mirrors, Magnifying glasses / Magnifiers, Scientific Equipment and tagged ACO Electronics, British Made Inspection Mirrors, British Made Magnifiers, Coil, deskaccessories.co.uk, Eyeglass, Eyeglasses, Folding Magnifiers, Glass, Gowlland, GOWLLAND OPTICAL LIMITED, Hand Magnifiers, Inspecta, Inspecta Magnifiers (Loupes), Inspection Mirrors, Loupe, Magnifiers, Magnifiers Made in the UK, Magnifying, Magnifying Glass, Magnifying Glasses, Mirrors, Pocket Magnifiers, Pyser-SGI, Stand Magifiers, UK Made Inspection Mirrors, UK Made Magnifiers, UK made magnifying glasses, Watchmaker's Eyeglass on March 2, 2013 by ukmade.